Bad credit. It can follow you around for years, even after you’ve done everything possible to correct certain mistakes, errors, or even lapses in judgment. We’ve all done it! Put something on credit when we know we should have held off or missed a payment or two. But what if you want to buy a house? You might be a responsible bill payer but just because you had some hiccups in your credit history, doesn’t mean you have to let go of those dreams of ever being a homeowner! I talk to potential homebuyers every single week that have less than perfect credit. Most of them don’t have the money saved up to pay cash outright for a house, especially in the southern California real estate market where the starting price is 500K +. This means applying for a home loan. Lenders will check a variety of different sources when determining the validity and eligibility of an applicant for a home loan. 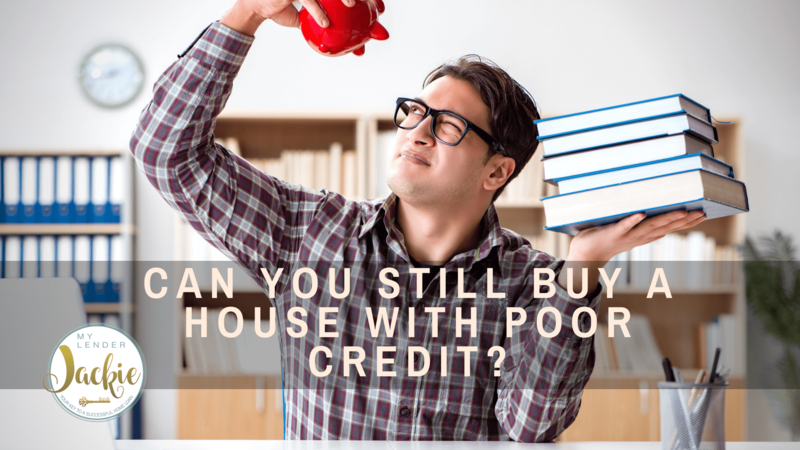 The credit history and score are just one of many variables. It’s important to know your own credit score and history before applying for a home loan. Simply get a copy from one of the three free credit reporting agencies, Experian, Trans Union, and Equifax. You legally can order your credit history once per year for free from each of these three agencies. They are all slightly different but will give you a general report and score on your credit history. To give you a sense of where the numbers fall from all three companies, 400 is one of the lowest credit scores where 850 is perfection. Most people fall somewhere between 550 and 750. If your score is 740 or higher, you’re in one of the best positions for the lowest interest rates and most attractive loan terms. A good credit score is anywhere from 700 to 759. Anything below 700, lenders may look at your home loan as a more risky investment. Again, this doesn’t mean that you cannot apply or even be eligible for a home loan, it simply means your loan, interest rate, and terms may not be as good as if you had a higher credit score. The first thing you want to do when you get your credit history report is to check for any errors or mistakes. Often times, debts may have been sent to collections when you’ve already paid them but unless you have proof or can write a letter discrediting the error, lenders will take this into account. Check your credit report for any errors or mistakes and do everything you can to correct those errors before applying for a home loan. If there are any mistakes that are your fault, you can simply call to have them removed or ask what you can do to correct the issue. Time is really the only thing that you can do to improve your credit score. As long as you pay your bills on time, are not late on any loan payments, rental payments or utility payments, and keep a healthy debt to income ratio, your credit score will improve. Once you’ve taken a look at your credit report and you find your credit score is below 700, you may have a slightly higher interest rate. Also, you may not qualify for a conventional loan, but there are many new options such as an FHA loan and portfolio products. You’ll need a minimum score of 550 in order to qualify and it also allows you to make a lower down payment. If you have a low credit score but have a lot of liquid cash on hand, mortgage lenders may be willing to approve you for a home loan if you make a larger down payment. 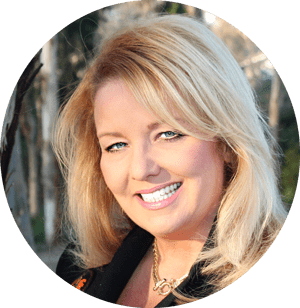 I’ve had many situations where I have helped people with low credit scores, even right out of a foreclosure or short sale. Many lenders can only do Conventional (Fannie or Freddie Loans) or FHA & VA. Think you have a situation that needs help? Give me a call with your scenario! With over 20 years of experience, we can find a plan that works for you. Having a lower credit score is not the end of the world but there are several things you can do to improve that score. If you’d like a good plan or direction to take in order to be eligible for a home loan in three months, six months or nine months, contact me today and let’s see how we can improve your credit history, so that you can pay less at a later time. If you like to apply for a home loan today, give me a call and we can run some numbers to determine the best loan, rate, and terms that you can qualify for.